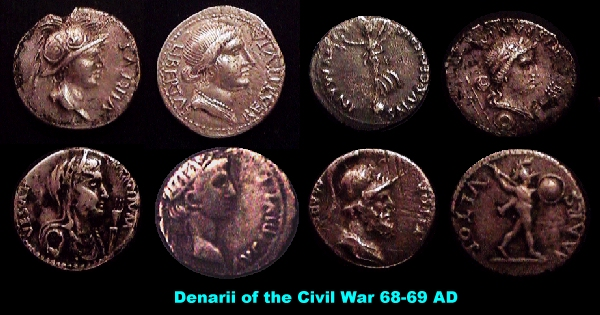 With the death of Nero, the Roman Empire was thrust into civil war. 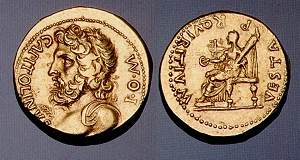 During this period, we find a series of coins that were struck without the contemporary portrait of an emperor as had been the case since the time of Augustus. 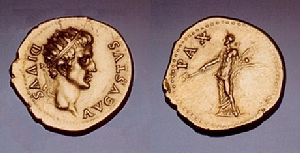 Instead, we find varius types being issued with an assortment of Roman gods including that of the Divine Augustus.